Grow trees and get loan. When Farmers in MP are committing suicide due to loan burden in a village of Harda district a cooperative society is providing loans on mortgaging of trees also. The initiative has been taken by cooperative society and panchayat Chindgaon Tamoli Village of Harda district (180 km from Bhopal) to help the farmers in releasing their burden of loan and to save them from injustice of money lender.The initiative of providing loan on trees has in return benefitted the environment and people are planting saplings. The initiative, which was taken three years ago, has now started providing benefits to farmers.Three years ago drought hit the economic condition of many villagers. Debt ridden farmers requested panchayat to help them otherwise they would commit suicide or ask their children to become labourers by leaving their studies,” said Ashok Gurjar, sarpanch of the village. “It was tough time for us. The panchayat and cooperative society members held a meeting and decided to provide loans on mortgaging of trees as it will be beneficial for both environment and farmers,” he saidOn a fruit-bearing trees, a farmer gets Rs 1000 and Rs 500 on other trees.When the announcement was made, there were hardly 100 trees in the village so many farmers couldn’t get the benefit.The panchayat, then, announced to plant the saplings of fruit bearings and other indeginious trees like Neem, Banayan and Pipal. A villager Bhagwandas Dhoke saved his hut from getting mortgaged with trees standing in his house.Dhoke said, “I had taken loan of Rs 50,000 from the bank by mortgaging my hut but I couldn’t be able to pay the interest due to delay in selling my crop. The bank agents had come to my house to take interest. 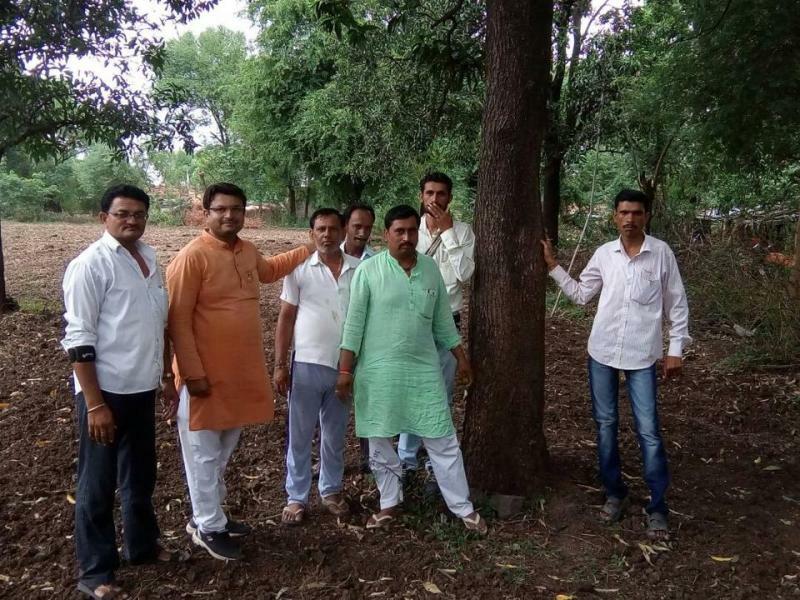 I went to cooperative society and get loan.”The success policy of cooperative society attract the MP Planning Commission and a few months ago a team visited the village to know how it is being implemented.This year, villagers have decided to plant 21,000 saplings in the rainy season.